Use the Interactive Smoke Simulator if you need an eerie fog or a cool morning mist. Made with ThreeJS, this simulator can work with high and low settings to suit different PC specs. Both settings only produce white smoke. But you switch to disco mode if you want to make your creations more colorful. 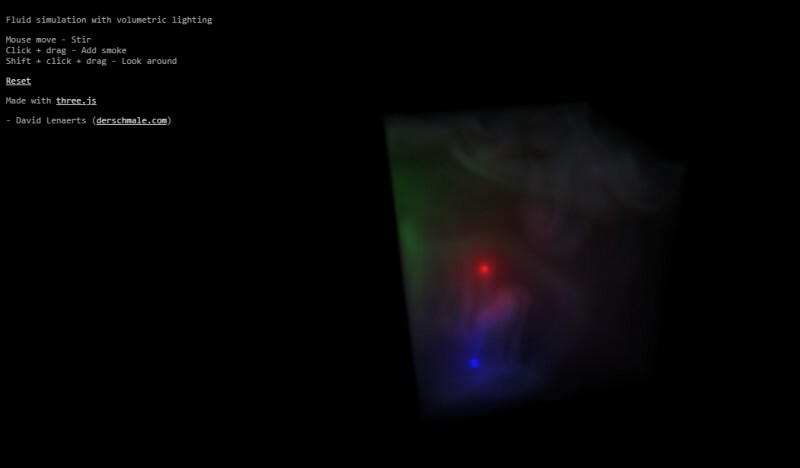 The smoke effects are in 3D and you have the option to view your creation in different angles.